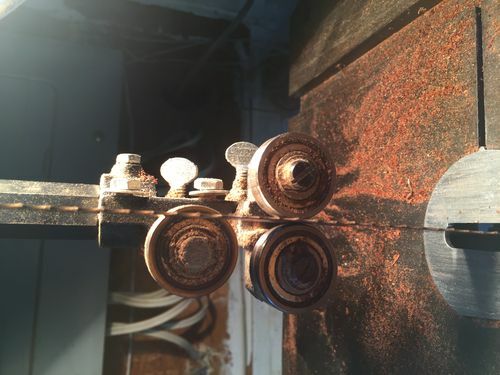 All Replies on Fix up Vintage Craftex Bandsaw or Buy a New one? 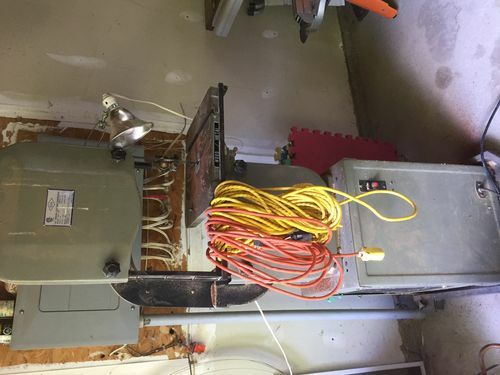 Fix up Vintage Craftex Bandsaw or Buy a New one? Time for a better saw Nikki. I don’t think they make the 15 inch saw anymore. I had one that I bought about 6-7 years ago and could never get it to cut right. Extremely frustrating – I guess it was cause of the 3 mm discrepancy, something clearly didn’t line up right. After that I steered clear of their bandsaws and I don’t have any experience with their new line since they switched to the new style. 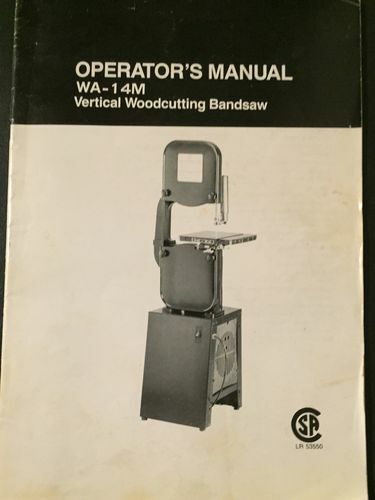 What else does your old saw need other than guides? 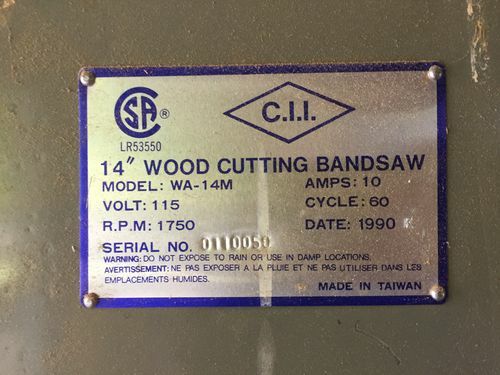 I don t think they make the 15 inch saw anymore. I had one that I bought about 6-7 years ago and could never get it to cut right. Extremely frustrating – I guess it was cause of the 3 mm discrepancy, something clearly didn t line up right. After that I steered clear of their bandsaws and I don t have any experience with their new line since they switched to the new style. No sir. They do not make than any more and I don’t blame them. That 3 mm discrepancy is a big deal. The manufacturers knew about it but did nothing which s terrible.Besides a good new blade mine is probably going to need some new rubber on the wheels. The main problem is that the company know longer makes the parts. When I ordered my guide from them, it was the last one. They might not have a great reputation but except for a few parts that have worn out this thing has worked great. No chance the one you have is a clone of the Delta/Rockwell with 14 inch wheels that you can get just about anywhere? 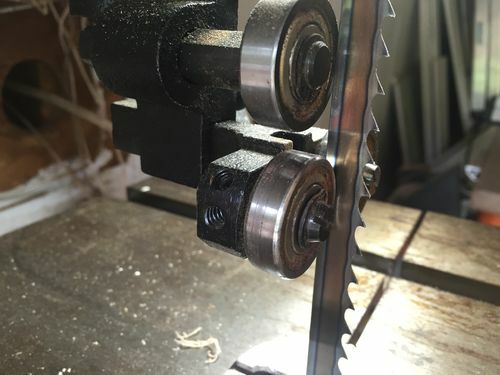 Nikki, what is exactly wrong with your current bandsaw? 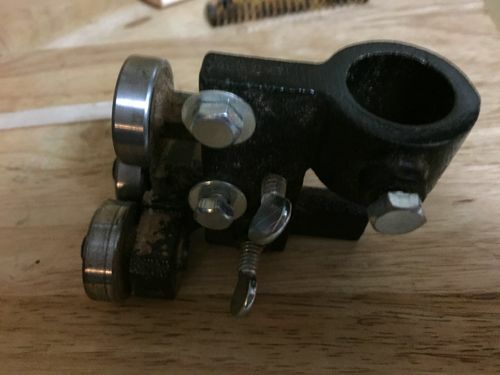 if the problem is that you can’t order parts from Busy Bee ,try R&D (http://www.tufftooth.com/) they have many generic BS parts that most lkely will fit your imported bandsaw. If you want a new BS, take a look at Amazon.ca they have a few ,Rikon,Grizzly. These guys on e-Bay about any size tire you need. If they don’t have it in stock, they’ll make custom sizes for you. Ohhhh I CAN possibly get new parts! SWEET! I hope I can because I’m quite fond of my bandsaw. It’s held up for many, many projects with few problems and the MAIN thing is that I’m familiar with it. Familiariry has got to help in the safery factor. Right? It currently needs some new blades but I think the main problem is that I ‘now’ work on smaller items and want it to function more like it scroll saw that can take tight curves and corners but that’s not what it’s made for. For what it IS made for, it has served me well for over 1/4 of a century so it can’t be ALL that bad of a saw after all. Here are some photos of it. It’s got saw dust on it because it has recently been used and not clean off but it shows the blade etc. I should have shop vac’ed first. lol. Are Aftermarket guides like from Carter an option? I don’t see Craftex listed – but they do custom stuff as well as the fact that there just aren’t that many ways to put a guide block on a post that goes up and down. I am no expert but from my reading I think your guides are setup wrong. My thinking is your side guide rollers need to be just below the gulit of the blade. If you can’t adjust it that way maybe dual rollers. I hope some of the experts will chime in here. I am no expert but from my reading I think your guides are setup wrong. My thinking is your side guide rollers need to be just below the gulit of the blade. If you can t adjust it that way maybe dual rollers. Hmmmmm. You’re kidding! I don’t think these guides move up and down. Is it possible to add a pic to show what you mean ? I don t see Craftex listed – but they do custom stuff as well as the fact that there just aren t that many ways to put a guide block on a post that goes up and down. Thanks a lot. This has certainly opened my eyes to new possibilities. Hmmmmm. You re kidding! I don t think these guides move up and down. Is it possible to add a pic to show what you mean ? 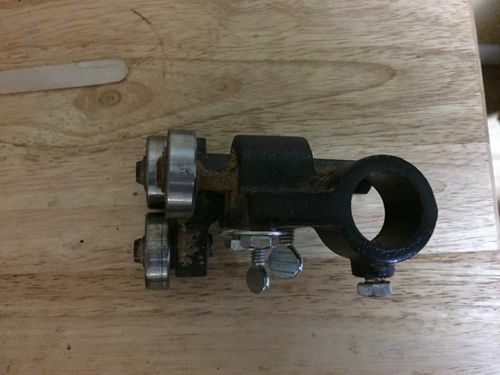 There are two knobs on your blade guide that loosen the assembly. One should allow you to adjust the side bearings and the other the rear. It’s hard to tell from the pictures above, but it does look like you are limited on how far forward you can adjust the side guides. 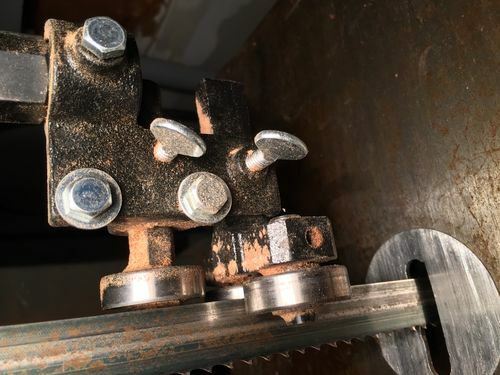 It’s likely that the manufacturer did not expect the saw to carry a re-saw blade that large….but it could just be the angle these photos are taken… Here’s a photo of how the assembly should look after its realigned. And this is a pretty good vid that explains how to set them up…even though he is using a different blade guide system. Like UncannyValley said, you should be able to loosen the lower thumb screw on your guide and move the side bearings out. They should sit just behind the gullet. I think it looks like there’s a slot in the guide that allows clearance to do so but can’t tell for sure due to the saw dust. The way the guides are set now could allow excessive twist in the blade which could be what wore your tires out. You’re likely to notice significant improvement if you get the guides set up properly. You should also check the lower guides (below the table) and set them the same way. 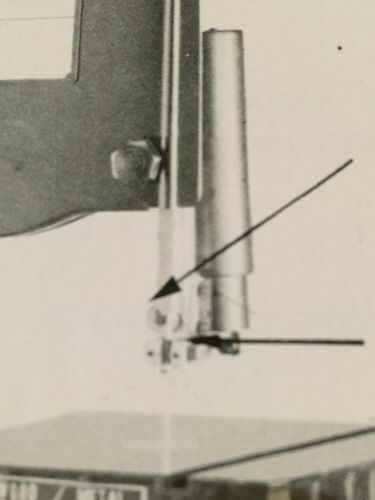 There are two knobs on your blade guide that loosen the assembly. One should allow you to adjust the side bearings and the other the rear. It s hard to tell from the pictures above, but it does look like you are limited on how far forward you can adjust the side guides. 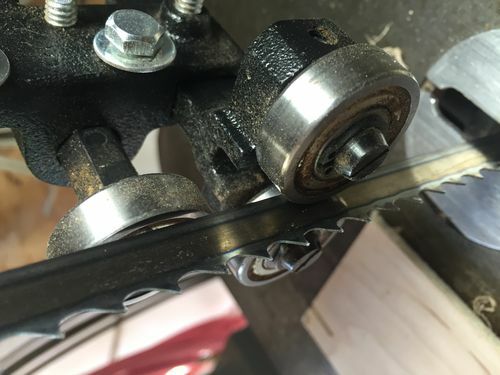 It s likely that the manufacturer did not expect the saw to carry a re-saw blade that large….but it could just be the angle these photos are taken… Here s a photo of how the assembly should look after its realigned. Wow! I think Coxhaus and you are RIGHT. And YES it would have been much more helpful if I had shop vac’ed that wood dust out of there so you could actually see the set up. I know the blade definitely needs changing but I also strongly fekt there was something wrong. That gut initiation thing was going off every time I used it. Thank you guys so very much. This weekend I’ll pick up a new blade and see if these guides can be adjusted. Just so you know, any happy dances that result from LJ forums must be videoed and uploaded to youtube for all to see. One thing I forgot to mention was these guides needed some modification. The old guides used cooling blocks whereas these new ones use bearings so it made a bit of a difference in the fitting of them. And thank you also Hokeyken. That info you all gave was fabulous. And thank you also Uncannyvalleywoods. That info you gave was fabulous. What kind of modification? Cool blocks and bearings do the same thing, just with different parts/materials. In other words, they should be set up basically the same way. The Timber Wolf blades are worth every penny….and they are actually priced very reasonably on Amazon. I suppose it’s not really a modification but as you can see from the pictures, the guides with the cool blocks fit differently than the ones with the bearings. I found the original owners manual and here is a picture of how its suppose to look. And I took the guides off so you could get a better look. From what I see they are on correct because there is no other way to mount them. I also want to point out that this isn’t the blade I normally use. This was put on to cut fair sized logs. Yep, you’ve got them installed right, just need to slide the side guides up closer to the teeth. Is that possible? I can’‘t tell for sure from the pics. Yep, you ve got them installed right, just need to slide the side guides up closer to the teeth. Is that possible? I can t tell for sure from the pics. When I get my new blades this weekend I’ll try that and see if it works. I hope it does. Perhaps I’ll put the 3/8ths back on. Sometimes you can move the back guide back which will allow the blade to fit deeper in the guides. I guess it depends on how the blade is tracking on the wheels. But it looks like the side guides need to move forward. Today I picked up a new blade and got the better ones . I also picked up a Dewalt 788 Scrollsaw. I’ve got it put together already but I’d like to bring it in from the garage and use it in the basement. I’m just hoping to find the right type of dust collector for it. There are some excellent DIY’ options for rigging an attachment underneath the table. 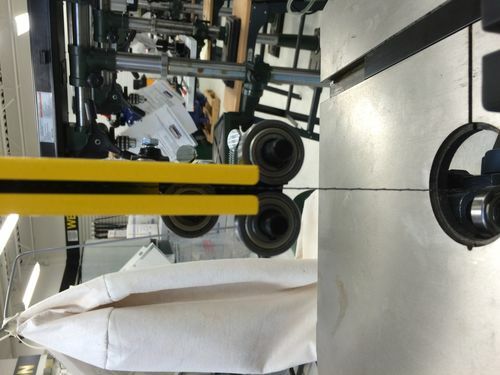 Anyway while I was at busy bee I checked out there new bandsaws and their guides are mounted just like mine are. I’m sure with this extra fine blade and a bit of tweaking I should be good. I’ll show pics tomorrow. 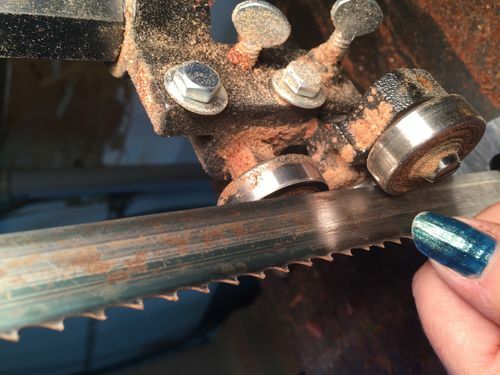 Picked up the superior saw blades and it works so much better. While I was at the store I took a picture of the bandsaws they have in the new models and here is how they looked in comparison to mine. You still need to get the guides closer to the gullet of the blade. Right about where the front line from the discoloration is. It will keep the blade from “drifting”. Yes, you’re right. It should be.